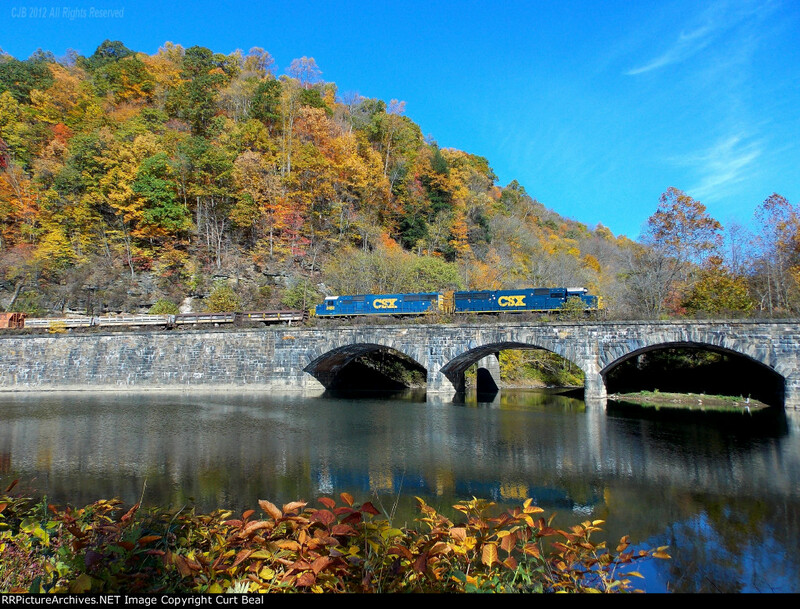 Work train DO58-17 is going east over the historic B&O arch bridge where Indian Creek meets the Youghiogheny River. The matching SD50-2s is about as good as it gets. Photographed from Camp Carmel in Dunbar Township.